Cream of the Crop’s Duct Tape Live Resin came from a phenotype bred by Archive Seed Bank. With the parents of GG#4 x Dosidos, this concentrate is sure to deliver a substantially relaxing and blissful high. The technique of using freshly harvested cannabis, while then maintaining subcritical temperatures during the extraction process is what is used to bring the consumer a superior live resin. 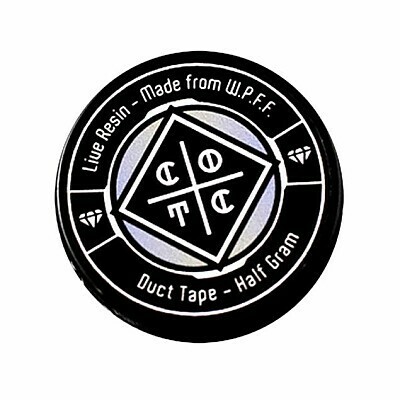 With test results above 89%, Duct Tape is the right choice of concentrate to achieve the ultimate high. This process retains the excellence of the strains flavor profiles, terpene caliber, appearance and consistency. This run of Duct Tape Live Resin has a pungent, sour yet earthy aroma and a hearty, flavorful taste.